In short, formatting is to initialize and prepare a storage medium such as a hard drive or flash drive to be recognized, read or written by computer. When you format a partition/disk, the system erases all bookkeeping information, scans to ensure that all sectors are normal and reliable (bad sectors will be marked), and creates internal address table for later use to save data. All hard disks should be formatted before use. Just as what metioned above, the format only wipes address tables, not the data stored on the disk. The new address table tells the system that the space can be reused for new data. Only when overwritten, the data really lost. 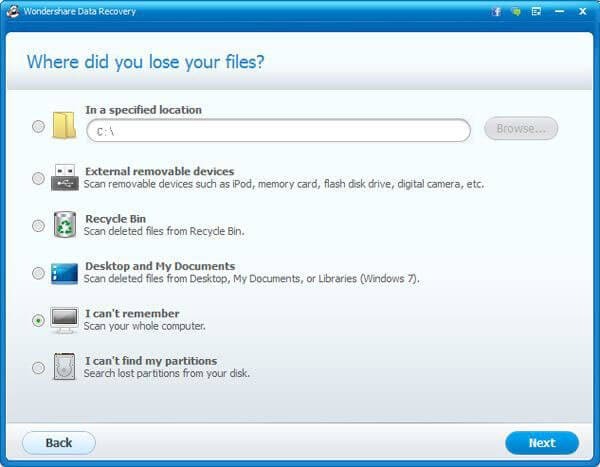 Therefore, the lost data after formatting can be recovered. What you need is a format recovery. If you are a Mac user, please go to Mac format recovery. 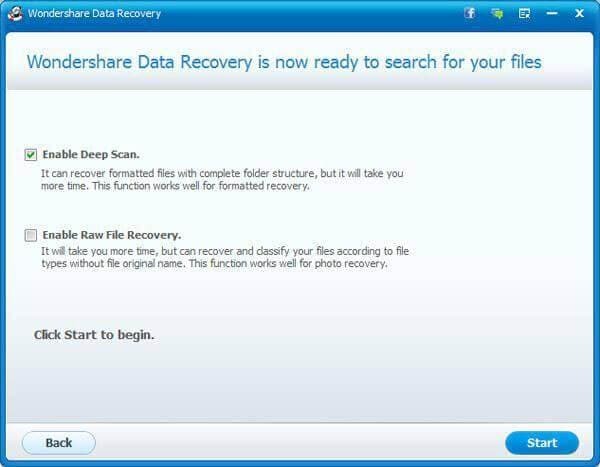 Tips: Remember not to save or install Wondershare Data Recovery to the partition on which you lost data. 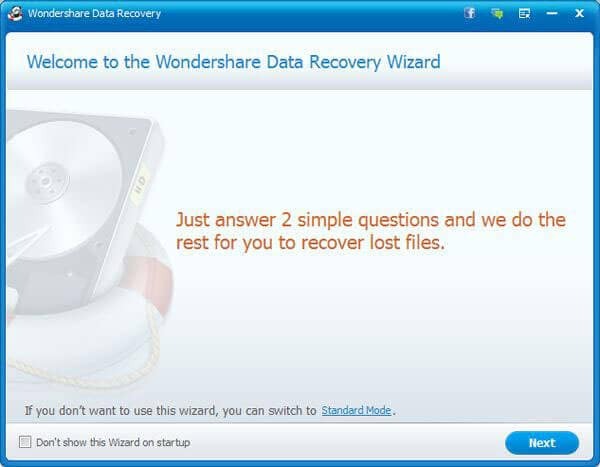 Free download the Wondershare Data Recovery above and get it run on your computer. Only several clicks, you can recover lost files due to formatting. 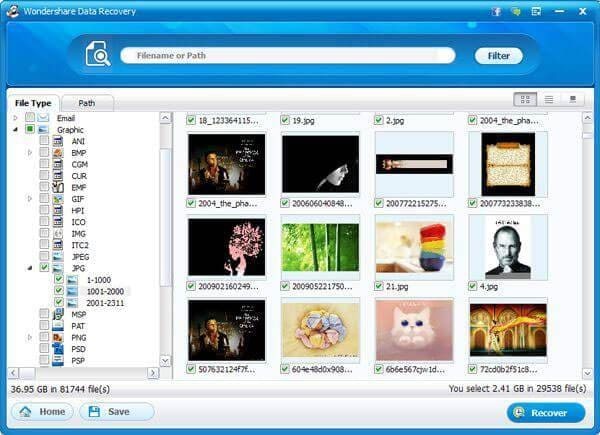 If there various files stored on your formatted disk or partition, you can choose file types that you want to recover. Then the program only scans those you want and saves you lots of time. After choose the file type, you can specify the file location where you lost them for a quickly recovery. Here enable the Deep Scan, because it helps you find formatted files. Check it and go to "Start". When the scan completes, the file is listed in types. You can preview and check to recover them selectively. 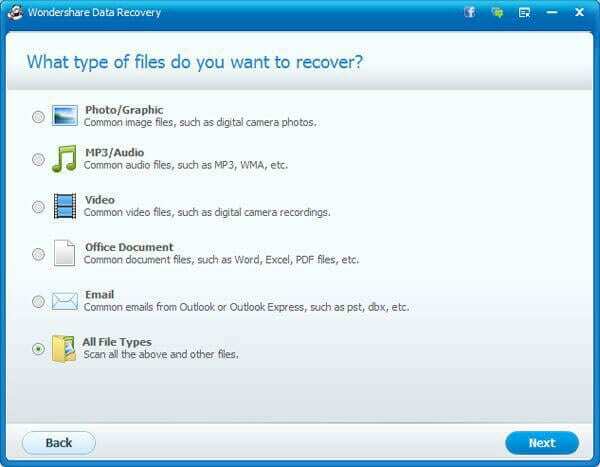 Note: This Data Recovery allows you to recover formatted files from different storage media such as cell phone, music player, memory card, hard drive, digital camera, camcorder, iPod, etc., and supports the recovery of videos, photos, music, documents, emails and more, but it's only available to preview photos, Office documents, PDF, ZIP, ARA and HTML/HTM before you recover them.